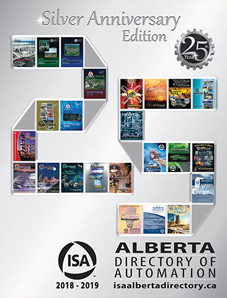 Brought to you by the ISA Edmonton & Calgary Sections, the ISA Alberta Directory of Automation is available online and in print. It’s your most comprehensive resource for finding instrumentation, control systems and automation suppliers serving the Alberta market. Feature your company in the Alberta Directory of Automation. We offer competitive rates and measurable results.